Simply put, we are the best at what we do… We sell FUN!!! In terms of outdoor adventure tours in Maine, no one comes close to offering the uniqueness and quality you get from us. Winter, spring, summer or fall, you can find a fun filled quality trip. Over 40 years of outdoors experience will prove invaluable. We are customer service folks who have practiced our craft and have been mentored by the older genuine generation of Master Maine Guides. You deserve a one on one experience, not a number on a tour bus or party boat. We have hand picked our partners that share the same mind set of customer service and quality. You could, but your time off is precious… Keep in mind that you’ll need to own or rent all the equipment needed, take a chance you are hunting, fishing or driving in the right area. Once you’ve finished, you’ll realize that it would have been cheaper and much easier to book with us. We know Maine’s woods, fields, lakes, rivers, and streams. We will not only take you there but we will educate, entertain, and prove worthy of your time with us. Our prices are per two people and include all equipment, food, and know-how needed for your activity you signed up for. Additional people can be added at a minimal cost. We are like any other service based business. Your gratuity is just that. You make your offering based on what kind of experience you get. How long has Twin MapleOutdoors been in business? We have been running our trips and tours since 2012. You can read more about our founder and operator in the “About Guide” section on our website. We are located in Bradford, Maine. The address listed on our website and published material is a mailing address and base of operations. If you would like to visit our farm in Bradford, please contact us for an appointment and we’d be happy to welcome you. Yes , of coarse you may bring your own equipment. We will have spare gear here for a back up as well. On Moose Safaris, bringing binoculars is recommended but not required. What if my family and I are not Outdoors people? Our tours are carefully balanced to appeal to both experienced and not so experienced people to take an fun, educational, interesting, rewarding vacation. A must have list will be provided to go with your particular trip. We also have information on our web site for your review. We thrive and enjoy teaching and learning from our guest… so what are you waiting for? Yes, all departure dates are guaranteed with a deposit. Deposits are not refundable unless you have an life Event or emergency, of coarse we will work with you to reschedule and you will not loose your deposit. Twin Maple Outdoors reserves the right to make discretionary decisions based upon individual situation. Do you offer free time on the tours? Some free time is given in selected places on the tours for shopping and individual sightseeing. 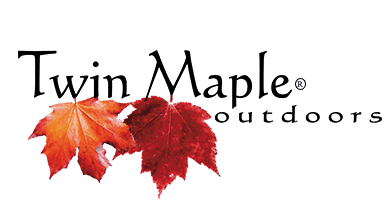 Twin Maple Outdoors has no affiliation with any of the shops at your disposal, and there is no pressure to make additional purchases on the tours. Yes, we are able to cater to special dietary needs without limiting options. In the past we have accommodated vegetarians, gluten free and lactose intolerant passengers. I would love to take your trip, but I don’t have anyone to go with me. Single people are more than welcome to come on our trips. We will gladly spend the day with you and we will quickly become friends! Am I going to be left alone on the tour or trip? No, unless the activity dictates it. How do I book a trip or tour? Fill in the “Book Now” section on our website, call us at 207-907-9151, or send us an email to info@twinmapleoutdoors.com. We encourage everyone to book as soon as they know which dates can work for them. Our trips fill up quickly and you should be sure you get the dates you want. What is the deposit amount required to book a trip or tour? Your trip can be reserved upon receipt of a 50% deposit. Your deposit is credited towards the total trip cost. Now that I am ready to book, how do I make arrangements to pay you? Can I give the tour as a gift? Yes! We would love to help you surprise someone and will stay discrete during the booking and payment process. What is the average size of the tour groups? We will entertain 1-8 people. We will use partnering guides that hold our degree of customer service and quality. We will need to have more guides, boats or vehicles on certain trip request for larger parties. People of all ages enjoy our trips and tours. Although the average age of our passengers is 42, we host a wide range of age groups, with children, as well as those who are comfortably retired. What about hunting and fishing licenses? No, we do not offer travel insurance. We do, however, recommend that you purchase a travel insurance package. The most important travel insurance provisions are likely those covering refunds for last-minute cancellation and for emergency medical coverage. Medical coverage is especially important outside the United States, where many US policies will not apply. What airport is local to Twin Maple Outdoors? We will contact you approximately 1 week prior to your trip/tour departure to confirm information regarding the exact meeting place and time in which to meet with you or your group. Can I talk to previous clients who have taken your trips and tours? We can provide, upon request, contact information of some of our previous clients who have agreed to speak with those interested in our tours about their experience with us. You may also view our testimonial section of the website or trip advisor. We use only high quality, state of the art gear. We maintain our equipment to a high standard and replace when it’s use-full life is done. I take prescription medication, should I take this with me? Absolutely. You will want to take your medication with you. You do not want to depend on being able to get your prescription filled while you are in the Maine woods. If you book a remote trip, we may ask you for a redundant supply of your medication and or eye glasses. What is the weather like in Maine on the trips? Unfortunately there is no one answer to this question. We can provide the following link or you may also call us. We will be sure to mention to you what is appropriate on your date. As always, breathable layered clothing and full rain gear is a must in Maine. What should I pack for the trip or tour? Since you’ll probably be taking lots of pictures, don’t forget your camera, memory cards and charger. Other electronic devices you might bring, such as a cell phone or laptop will also need their chargers. The appropriate clothing, shoes and personal effects is a must for your comfort. We will be glad to help at time of booking.